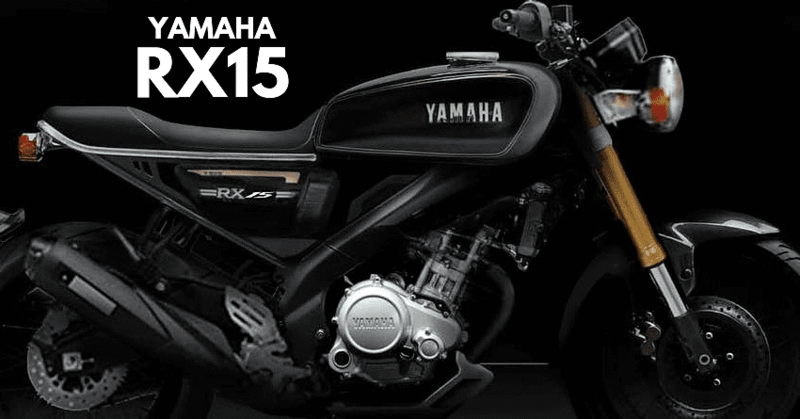 Yamaha RX15 is another free-flowing imagination from the creators of RD300. 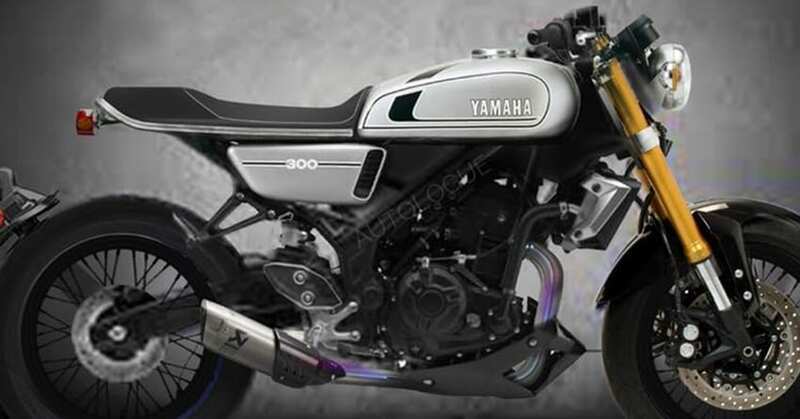 The folks at Autologue Design created this beautiful retro-modern render from the components of Yamaha RX100 and R15. Not just that, the pinch of excitement is added through those golden USD forks, a different front disc brake and unique independent rear fender that is available only on premium models. The front section comes with an RX100-sourced headlight and indicator assembly while instrument cluster is picked from some other product with a twin-pod layout. The front fender is sharp and sporty while tires used on the RX15 digital render are street-specific in nature. 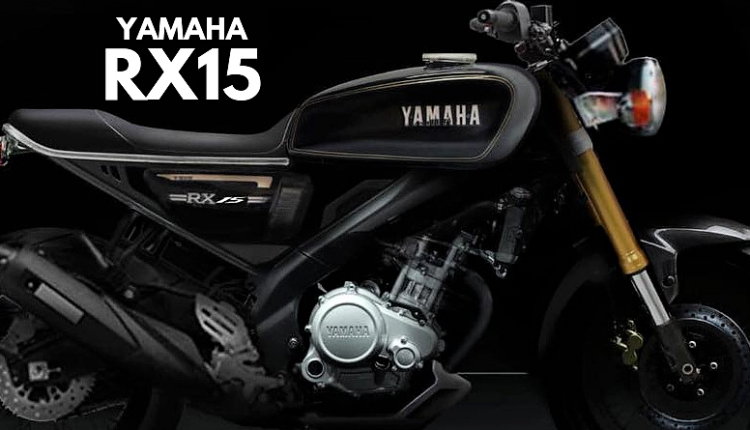 The motorcycle as seen here carries Black fuel tank and side panel with RX 15 branding and Yamaha branding on them. The engine section is straight from R15 as the visible Deltabox frame is carrying the iconic Yamaha weld in the middle. The exhaust system is also shared with R15 V2. However, the seating is similar to the one seem on RD300 concept from the design house. Autologue Design is known to create some of the most mouth-watering kits available for production-spec motorcycles. This one seems out of the production league as switching from R15 to Yamaha RX100 will take a lot of investment for sure. Yamaha RX100 is still the favourite among retro motorcycle fans of India. 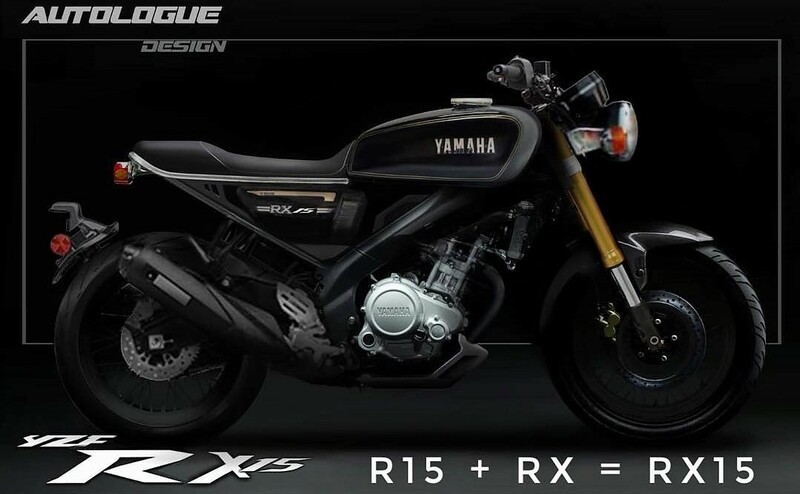 The two-stroke engine on the motorcycle resulted in the discontinuation of the popular bike and current emissions norms won’t even allow the existing R15 engine to operate after March 2020 if they do not update the engine to match the BS6 emission norms. The render shows how brands can use the technologically advanced engines under the decade-old design lines to create something new for the buyers. One such example is Honda CB300R with Neo Cafe inspiration and decent round headlight design.